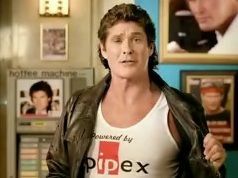 Troubled firm Pipex has finally sold off its much-maligned broadband and phone business to rival Tiscali . The £210m sale will take Tiscali's customer base in the UK to around 1.5 million. At the end of last year Pipex had approximately 570,000 Broadband customers and 480,000 Voice customers formed from older companies such as Bulldog. The sale has been widely anticipated for some time. And speculation has long raged about who would buy the company which, like its rivals, offers bundled phone and broadband services. TalkTalk, owned by the Carphone Warehouse and Sky were among mooted purchasers looking to grow their customer base. Pipex will continue its hosting and ISP services, with sub-brands including Nildram and Freedom2Surf.